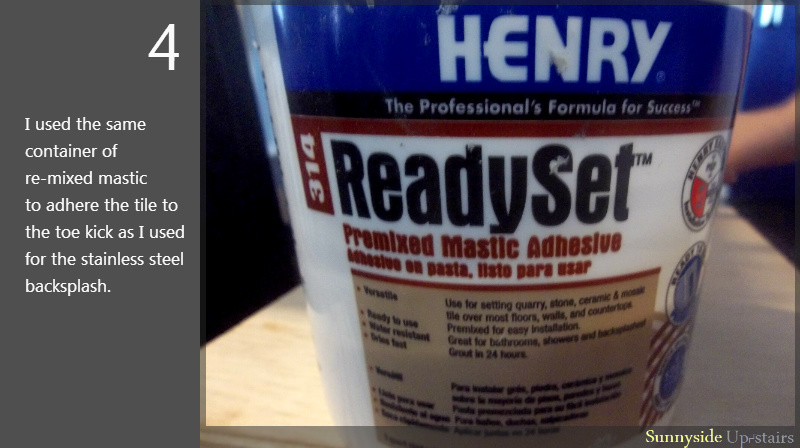 I had set aside $5,000 for our kitchen from a $10,000 loan I took out to gut and restore our apartment. 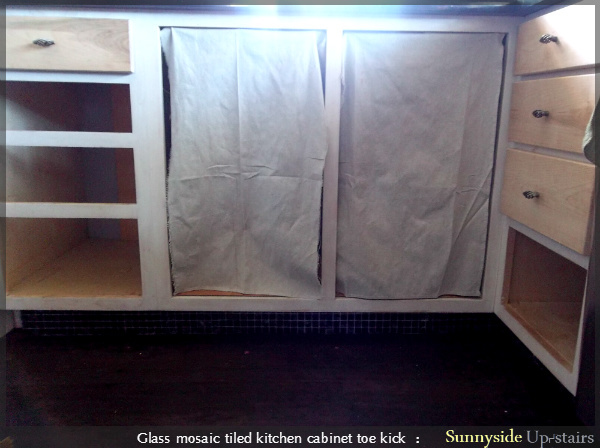 Our kitchen cabinets were hand-built by our contractor-electrician, who pitched to me that he knew how to build them and quoted $2,000 for 5 bases, 8 drawers, and 4 doors. This was a huge deal compared to the $5,000 - $7,000 I was quoted a week before this, so I agreed. 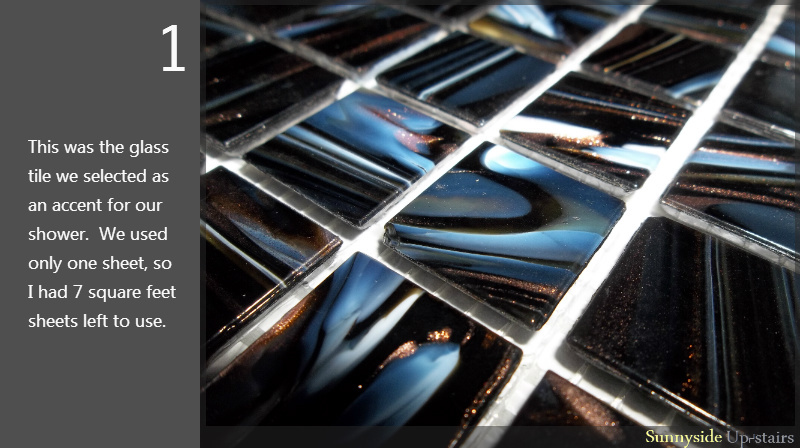 The tile has specks of metallic browns and pretty blues that shimmer when light hits it. However, I was not successful taking photos of the effect with my camera. At the time, I had not built my own furniture, and it was only a thought in my mind. I was happy to delegate this task. Until December rolled around and my cabinets were not done. Then this summer rolled around and still... they're not done. It's been over one year; time management is a problem for professionals too, it seems. This project cost $36 in tile. 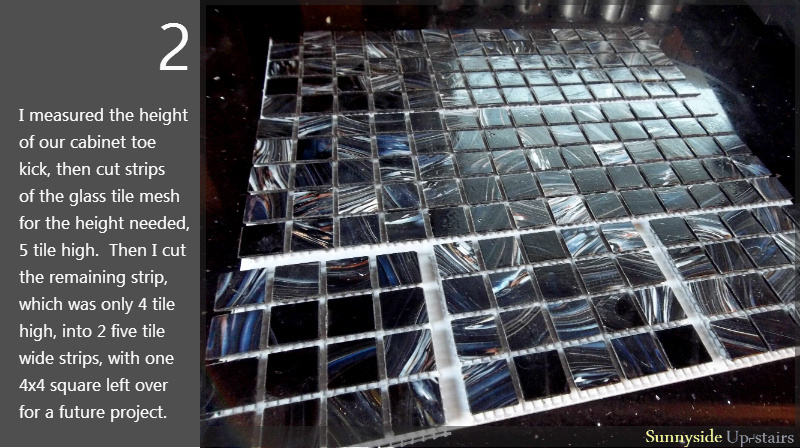 If the glass tile was not on sale, it could have cost $90 for the same type and amount of tile. Thankfully, I had already ripped 1/4" plywood for an experiment project in the kitchen. My husband and I are deciding if it will stay or not by the end of the month. 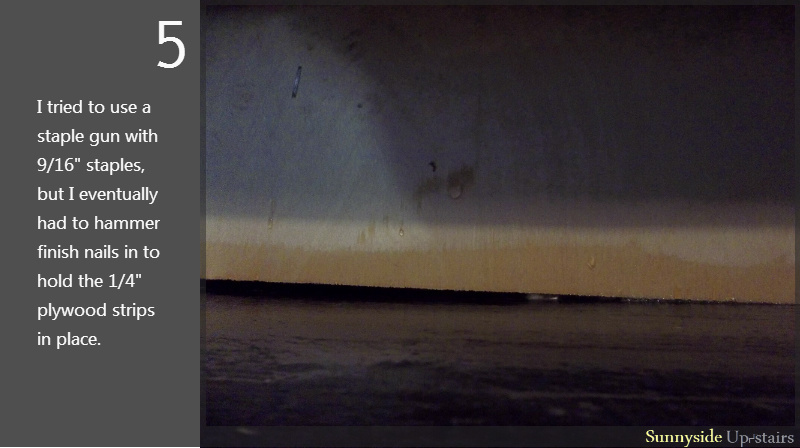 I used the leftover ripped 1/4" plywood to cover the old "toe kick" and span the large gap in the corner, too. 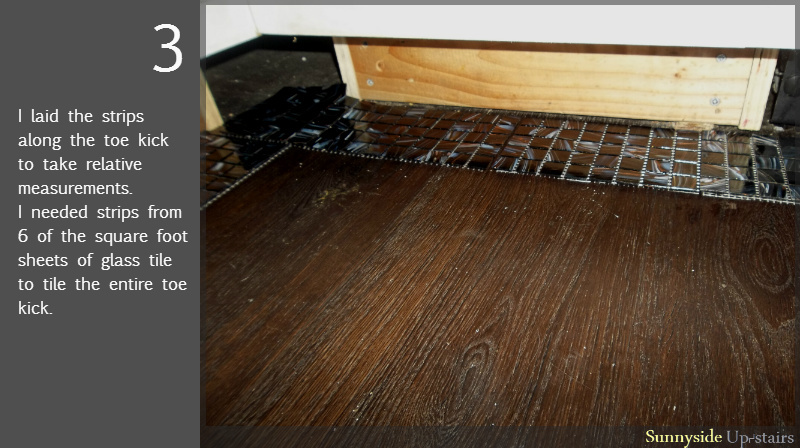 In a few short days, I won't have to worry about leaving mopping laps on our toe kick, since it is covered in black glass tile. =D Me = happy mom and wife. :) I'm glad I could use it somewhere! Thank you, Katelyn. :) I'm glad we could use the tile and not just let it hang out in our garage. 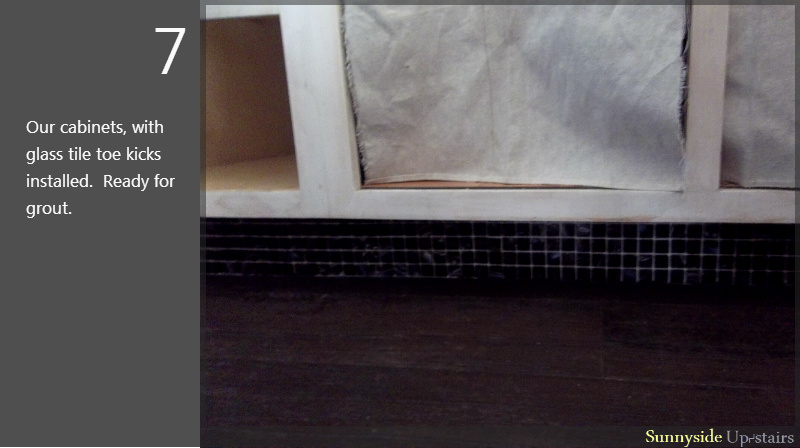 This is going to look so fabulous once the black grout is added. Love this idea!! Thank you, Katja. 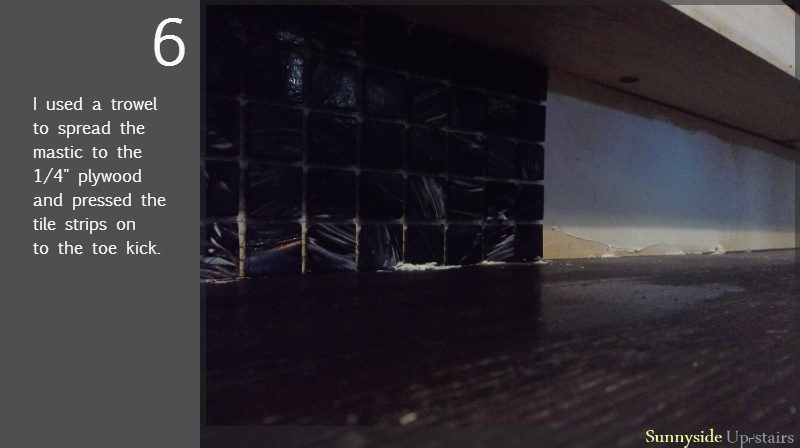 :) I was disappointed that I couldn't get the lines straight because the cabinet toe kicks were actually different heights, but the black grout surely camouflages the difference well. So pretty. I love the oil slick look of these. I tried to find a place for them in my house but no such luck, although I do have a bracelet made out of the copper colored tiles. I love the idea to tile the toe kick. We have yet to reattach ours, I may have to do this.